"The First Night in Exile"-This painting comes from a celebrated series illustrating one of Hinduism’s great epics, the Ramayana. It tells the story of prince Rama, who is wrongly exiled from his father’s kingdom, accompanied only by his wife and brother. Exile means to be away from one's home (i.e. city, state, or country), while either being explicitly refused permission to return and/or being threatened with imprisonment or death upon return. It can be a form of punishment and solitude. It is common to distinguish between internal exile, i.e., forced resettlement within the country of residence, and external exile, deportation outside the country of residence. Although most commonly used to describe an individual situation, the term is also used for groups (especially ethnic or national groups), or for an entire government. Terms such as diaspora and refugee describe group exile, both voluntary and forced, and government in exile describes a government of a country that has been forced to relocate and argue its legitimacy from outside that country. Exile can also be a self-imposed departure from one's homeland. Self-exile is often depicted as a form of protest by the person that claims it, to avoid persecution or legal matters (such as tax or criminal allegations), an act of shame or repentance, or isolating oneself to be able to devote time to a particular pursuit. Article 9 of the Universal Declaration of Human Rights states that "No one shall be subjected to arbitrary arrest, detention or exile." 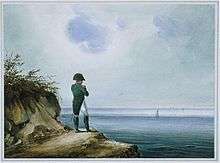 A wealthy citizen who departs from a former abode for a lower tax jurisdiction (a "tax haven") in order to reduce his/her tax burden is termed a tax exile. Creative people such as authors and musicians who achieve sudden wealth sometimes find themselves among this group. Examples include the British-Canadian writer Arthur Hailey, who moved to the Bahamas to avoid taxes following the runaway success of his novels Hotel and Airport, and the English rock band the Rolling Stones who, in the spring of 1971 owed more in taxes than they could pay and left Britain before the government could seize their assets. Members of the band all moved to France for a period of time where they recorded music for the album that came to be called Exile on Main Street, the Main Street of the title referring the French Riviera. In 2012, Eduardo Saverin, one of the founders of Facebook, made headlines by renouncing his U.S. Citizenship before his company's IPO. The dual Brazilian/U.S. citizen's decision to move to Singapore and renounce his citizenship spurred a bill in the U.S. Senate, the Ex-PATRIOT Act, which would have forced such wealthy "tax exiles" to pay a special tax in order to re-enter the United States. In some cases a person voluntarily lives in exile to avoid legal issues, such as litigation or criminal prosecution. An example of this was Asil Nadir, who fled to the Turkish Republic of Northern Cyprus for 17 years rather than face prosecution in connection with the failed £1.7 bn company Polly Peck in the United Kingdom. Iraqi academics asked to return home "from exile" to help rebuild Iraq in 2009. Jews who fled persecution in Nazi Germany. Nazis after 1945 fleeing prosecution for war crimes, for example Joseph Mengele. When large groups, or occasionally a whole people or nation is exiled, it can be said that this nation is in exile, or Diaspora. 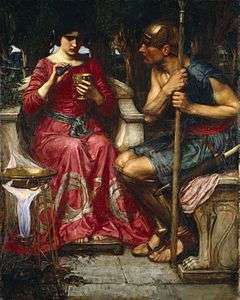 Nations that have been in exile for substantial periods include the Jews, who were deported by Babylonian king Nebuchadnezzar II in 586 BCE and again following the destruction of the second Temple in Jerusalem in the year 70 CE. Many Jewish prayers include a yearning to return to Jerusalem and the Jewish homeland. 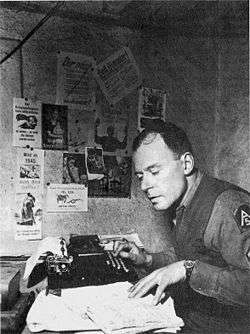 The German language writer of novels, Franz Kafka, called the Dante of the twentieth century by the poet W. H. Auden, describes the exile of Karl Rossmann in the posthumously published novel Amerika. During the period of National Socialism in the first few years after 1933 many Jews, as well as a significant part of German artists and intellectuals fled into exile, such as the authors Klaus Mann and Anna Seghers. So Germany’s own exile literature emerged and received worldwide credit. Klaus Mann finished his novel Der Vulkan (The Volcano. A Novel Among Emigrants) in 1939 describing the German exile scene, to bring the rich, scattered and murky experience of exile into epic form,as he wrote in his literary balance sheet. 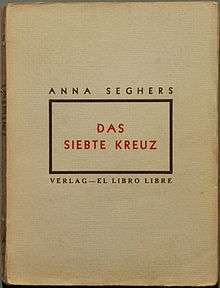 At the same place and in the same year, Anna Seghers published her famous novel Das siebte Kreuz (The Seventh Cross, published in the United States in 1942). Her painful story was produced as a movie in 1944 by MGM starring Spencer Tracy. The Seventh Cross is one of the very few depictions of Nazi concentration camps, in either literature or the cinema. ↑ Hobbes, Thomas (1886). Leviathan; Or, The Matter, Form and Power of a Commonwealth, Ecclesiastical and Civil. George Routledge and Sons. p. 145. ↑ Archived February 25, 2016, at the Wayback Machine. ↑ Geoghegan, Tom (2011-04-14). "BBC News - What happens to deposed leaders?". Bbc.co.uk. Retrieved 2014-05-12. ↑ Robert Greenfield, Exile on Main Street: A Season in Hell with the Rolling Stones, 2008. ↑ Kucera, Danielle. "Facebook Co-Founder Saverin Gives Up U.S. Citizenship Before IPO". Bloomberg News. Retrieved 2 November 2012. ↑ Drawbaugh, Kevin (May 17, 2012). "Facebook's Saverin fires back at tax-dodge critics". Reuters. Retrieved 2 November 2012. ↑ Mills, Andrew (2009-06-23). "Iraq Appeals Anew to Exiled Academics to Return Home". Reuters via chronicle.com. Retrieved 2011-04-17. ↑ Rocker, Simon (2011-03-10). "Libyan exile plan for UK's frozen assets". The Jewish Chronicle. Retrieved 2011-04-17. ↑ Fisher, Dan (1990-01-20). "For Exiled Nuns, It's Too Late : Banished by the Communist regime, Czechoslovakia's sisters of Bila Voda were symbols of persecution. Now most are too old or weak to benefit from the revolution". articles.latimes.com. Retrieved 2011-04-17. ↑ "Tristia by Ovid – high drama and hoax". theguardian.com. ↑ Cf. an unabridged reading by Sven Regener: Amerika, Roof Music, Bochum 2014. ↑ For further insights cf. Martin Mauthner: German Writers in French Exile, 1933–1940, Vallentine Mitchell, London 2007, ISBN 978-0-85303-540-4. ↑ Cf. Klaus Mann: Der Wendepunkt. Ein Lebensbericht. (1949), Frankfurt am Main 2006, p. 514.